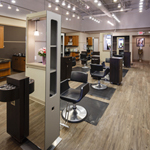 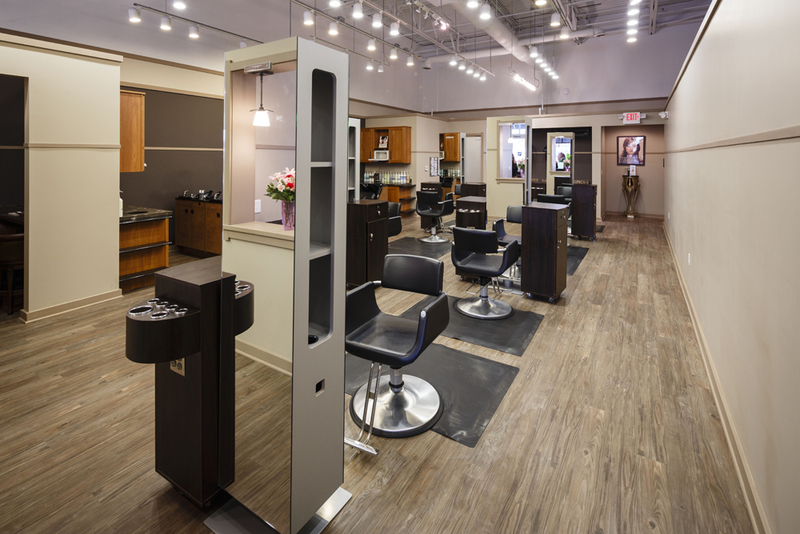 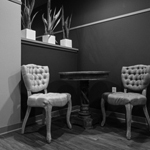 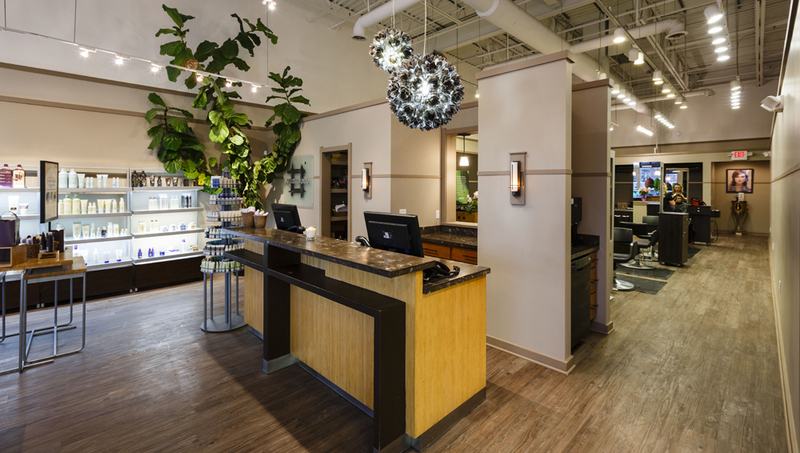 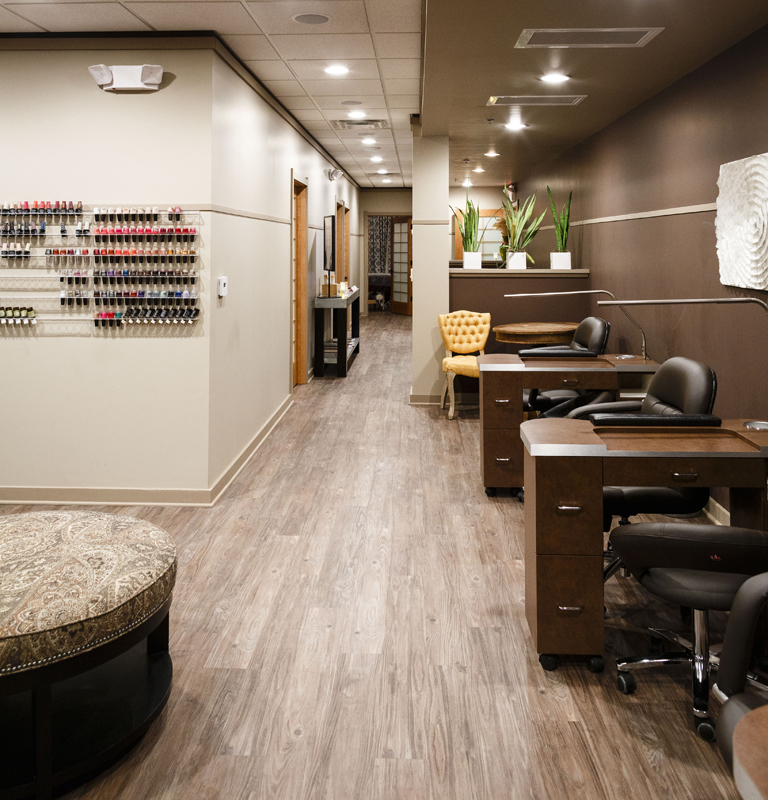 Square One Salon & Day Spa, a successful and growing salon and spa concept based in Dayton, Ohio, wanted to expand its New Albany location with a complete renovation of the existing storefront salon and expansion into an adjacent storefront for a new spa area. The design sought an Asian theme, with a contemporary and intimate feel. 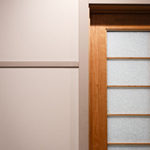 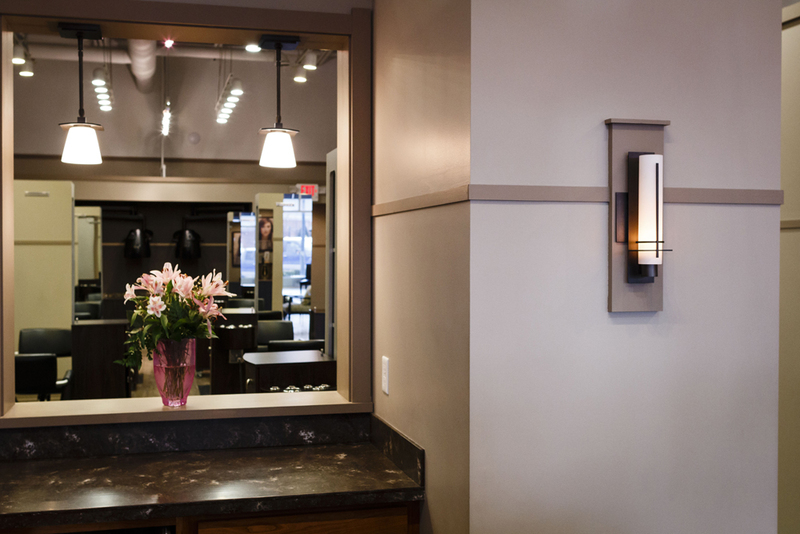 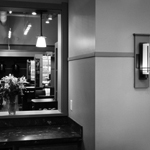 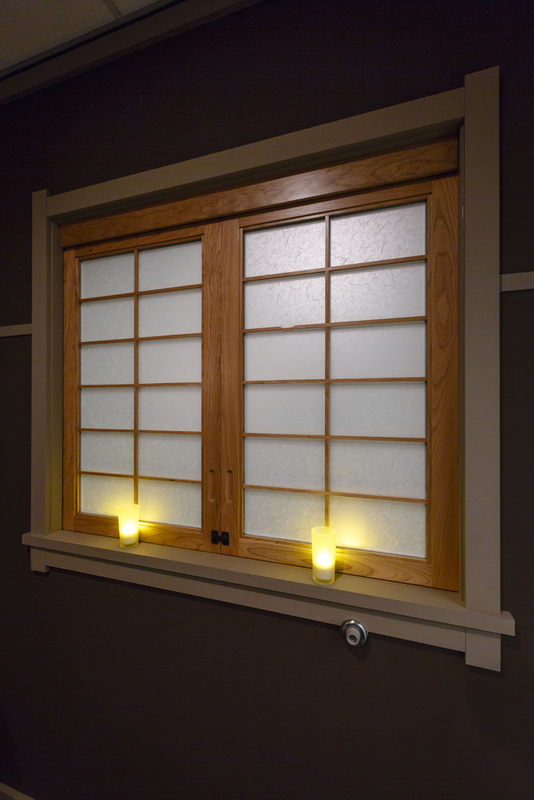 Shoji doors, trim detailing and light fixtures, along with an open ceiling structure with all mechanical and electrical equipment maintained in the original salon area, combined to set the Asian contemporary tone. 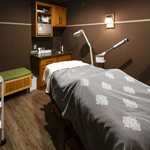 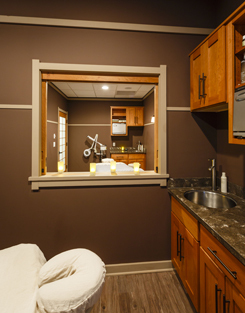 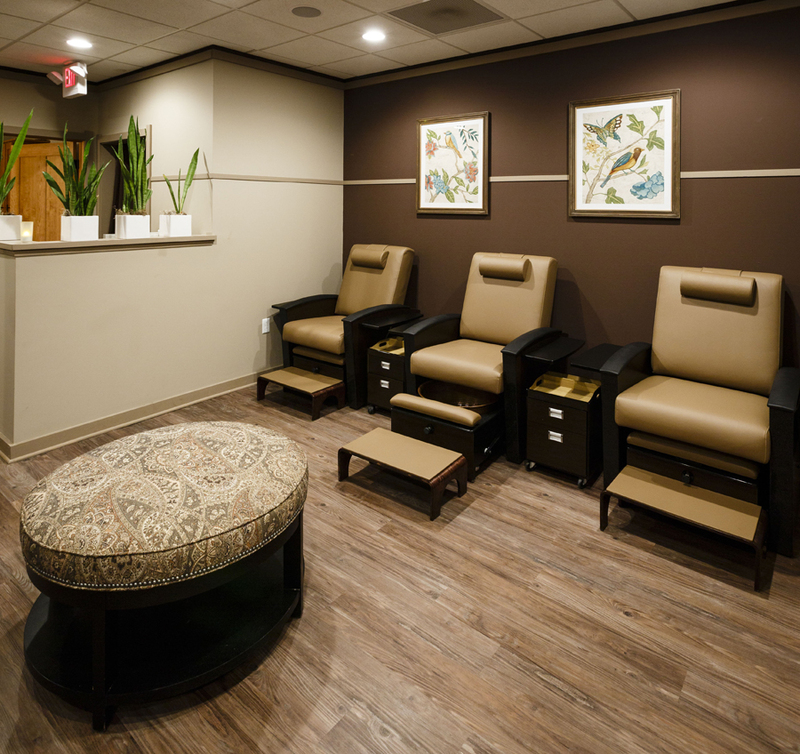 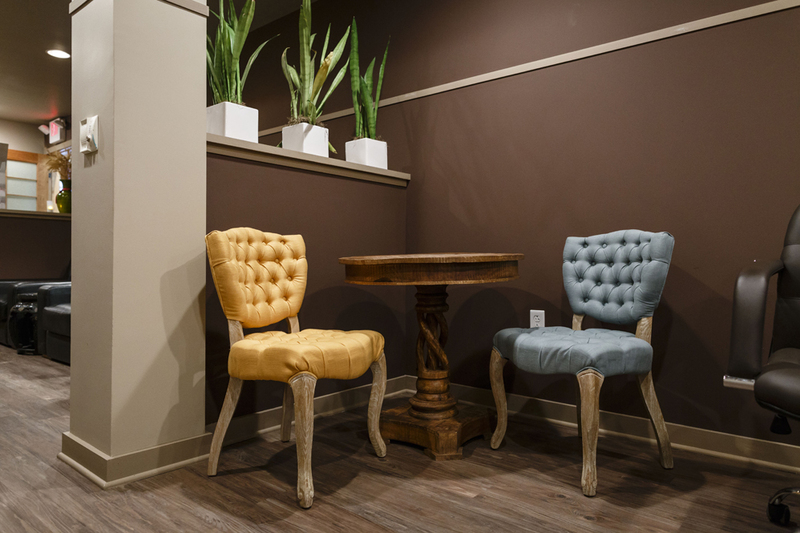 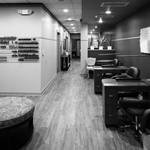 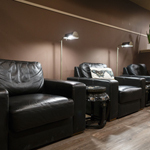 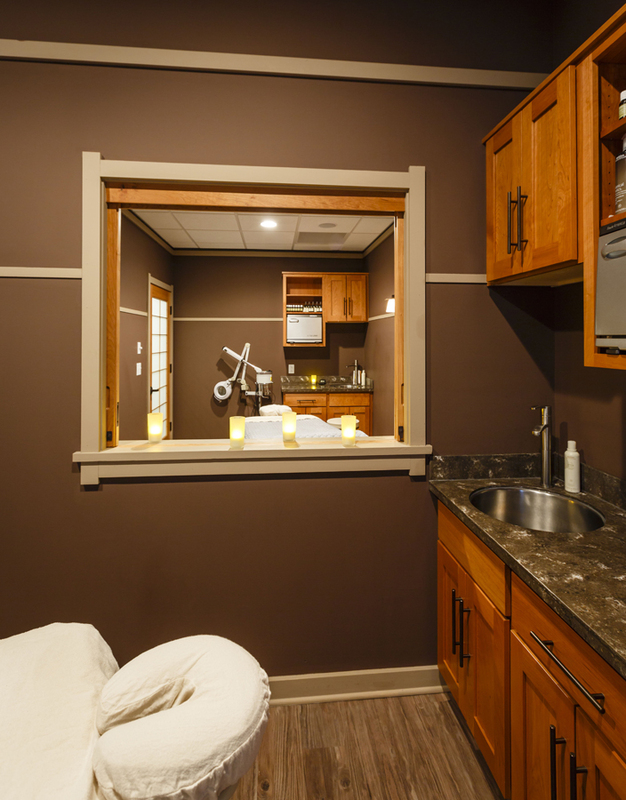 Darker colors and lower ceilings in the spa area created more intimacy for the treatment rooms and nail stations. 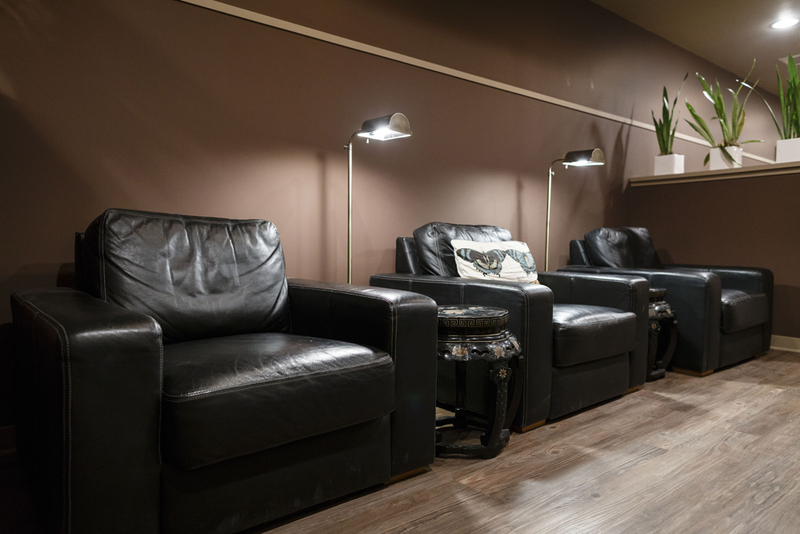 The space contains eight styling stations, four shampoo bowls, a drying/processing area, two waiting areas, a service desk, dispensary, separate restrooms, laundry room, employee break room, three pedicure stations, four manicure stations, and four treatment rooms. 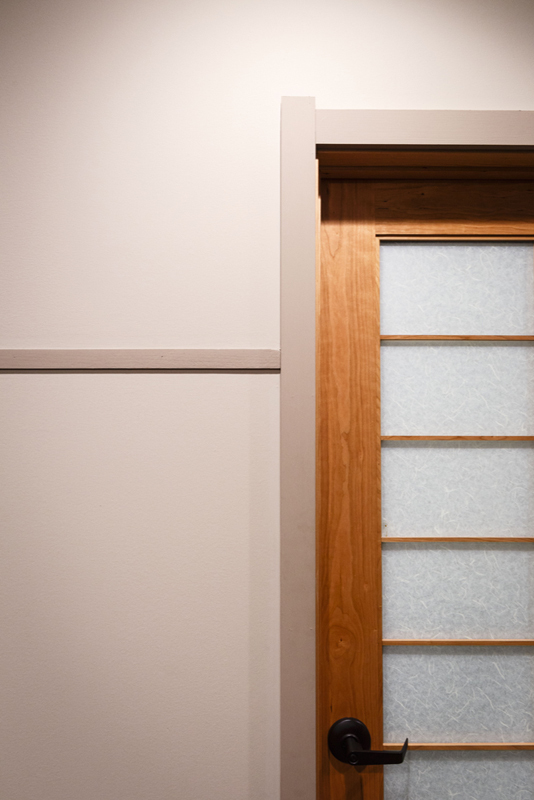 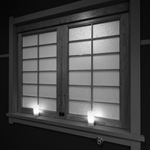 The treatment rooms have sliding shoji panels between them to allow two rooms to be shared for couple’s massages.